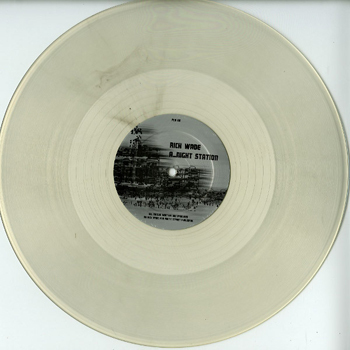 Rick Wade’s hard to find tracks on P&D transparent vinyl. Limited Edition. “Night Station” on Side A was originally released on Rick’s “Dark Ascension” in 2004. Interesting story about this track: Rick actually created it to be part of a soundtrack for a game mod called “Xtreme Combat.” Production on the game was never completed, but Rick decided to release the track anyway. But we gotta say that, on this particular occasion, on this vinyl with just two tracks, this joint gets overwhelmed by the Side B. Infact, on the other Side, “2 A.M. Detroit“, a 1998 track from “Tracks from the Park Vol.I“, it’s a well crafted jazzy and deep house tune, and it’s gonna be your favorite one from this release. P&D decided to release just 100 transparent vinyl copies. Anyway, you can still enjoy the black vinyl edition.